Brandt Snedeker carded a final-round 69 to take the clubhouse lead in the Farmers Insurance Open, which will be completed on Monday because of rain. 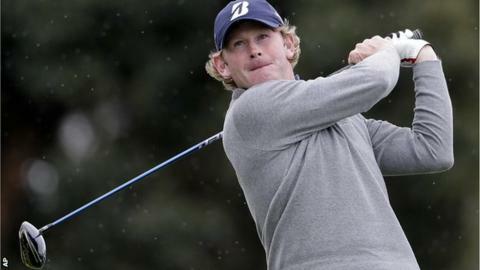 American Snedeker had four birdies in five holes on the back nine to reach six under, as stormy conditions battered the Torrey Pines course. Compatriot Jimmy Walker leads on seven under but still has eight holes to play on Monday. South Korea's KJ Choi also has eight holes left and is six under. Scotland's Martin Laird had five bogeys on his front nine and is on two under with five to play. Asked about his prospects of holding on to the lead on Monday, Snedeker told the PGA Tour website: "I've had crazy stuff happen here before so hopefully I can have it happen again."